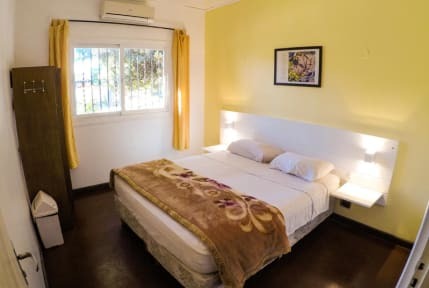 Hostel Bambu Puerto Iguazu i Puerto Iguazu, Argentina: Bestill nå! •Payments are done at the check-in. You can pay by card, or in cash - we accept Argentine peso, US dollar, Brazilian Real and Euro. •Our accomodation rate does not include the ECO Tourism Tax (ARS$50/per person per stay). This tax will be charged at the check-in. 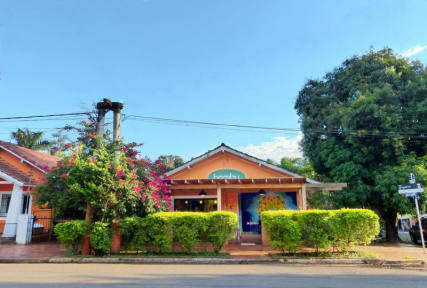 •CANCELLATION policy: This property has a 2-day cancellation policy. Failure to cancel within this time will result in a cancellation charge equal to the first night of your stay. •Children under 18 are not allowed at the hostel. •We do not have a communal kitchen for our guests. If you want to store some food in a fridge, ask our staff. •It is not allowed to bring alcoholic beverages from outside. •If you arrive before check-in time it is possible to leave your luggage in our lockers. After check-out time you can stay in the hostel and we can keep your stuff in our lockers. •If you arrive after 11pm please let us know. Nuestras dias en Bambu no podrian haber sido mejores. El recepcionista fue muy tierno y simpatico, y nos ayudo con todo lo necesario. Muchas gracias! Bra wok i baren, hyggelig personalet, hadde problemer med vann under opphold, hadde ikke velutstyrt kjøkken som kunne brukes.